Unlike many countries, your child can attend public school in Canada, get a great academic, social and extra curricular education, he/she can be accepted to University and can achieve great life success. If you can buy a home in the catchment are of the top school, it’s a great option. However, if you can’t get into the catchment are of the top school, you need not be overly worried or concerned. Anything over a Fraser Institute ranking of 7.5 is a very good school, because these rankings are relative to Canadian standards. If you are looking at Oakville, almost all the public schools are excellent, which is part of the reason for higher relative house prices. Mississauga is Canada’s safest large city. You can walk down the streets without fear of crime. Our social structure has not allowed for any cities to “hollow out” or become dangerous. There is some crime that occasionally happens in specific known areas, but as a law abiding citizen, you can live your life with ease of movement and freedom. Compared to many other places in the world, Canada is a strong leader in supporting and promoting inclusiveness and diversity. The Government funds many programs and non profit organizations to support settlement and success in Canada. There are demographic shifts from Mississauga, Oakville, and Burlington, and depending on the experience you are most comfortable with, there are villages that will support your needs. Some neighbourhoods are predominantly one or two specific cultures/backgrounds (Asian, South Asian, Spanish, Eastern European, etc), and some villages are very diverse. We think its very important to include this aspect into our discussions because everyone has varying needs for living close to people within their own heritage for social integration and support. Upon first glance, especially if you are looking on realtor.ca, it can be very easy to miss the distinctions from one area to the next. And if you have friends or family who already live here, you will get lots of opinions about what you should do. But what is good for a close friend or relative, might not be what is good for you. Its very important to go through the process of identifying your needs and wants, and learn about all of the potential villages that might suit your life. If you are considering buying a home outside of Mississauga, Oakville or Burlington, contact me and I will connect you to one of our trusted and experienced colleagues, from Niagara Falls, Waterloo/Guelph, Toronto, Barrie, Kingston, or Ottawa. It is critical that you hire a professional that is highly knowledgeable and experienced so they can walk you through the process to protect your interests. Contact the Village Guru today and we will help you in any way we can. Do your research far in advance about what financials you need to buy a home in Canada. If you are a non-resident of Canada and need financing, you will need to provide a Canadian mortgage lender proof of income, bank statements, have at least 35% down payment, as well as other documents. Ask us a no-obligation question anytime to get the answers you need. 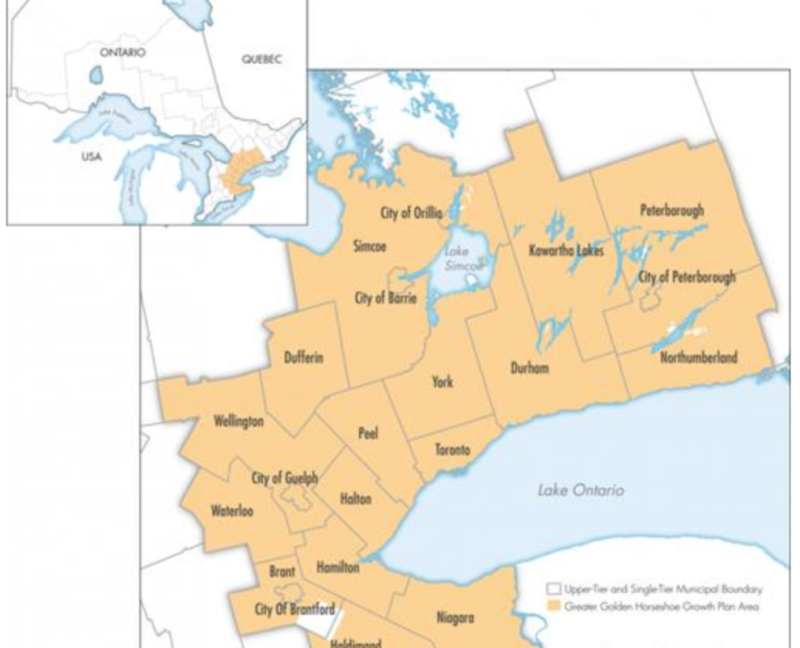 The 15% Speculation Tax effects most regions of southern Ontario, including Peel, Halton, Hamilton, Toronto, Waterloo, Niagara, Wellington, York, Peterborough, Haldimand, Kawartha Lakes and Dufferin. It is 15% of the purchase price of the property. Some refunds are possible if the home was used as a principle residence (not a rental), and after having worked or attended school here full time for a specific period of time. See the link above for full details. If you are buying a home to rent it out, it can be more difficult to get insurance as a non resident. It is important that you obtain approval for insurance before you offer on a home. If you are a non-resident looking to buy a home in Canada as your principle residence, you will be subject to the same fees and rates as anyone else, so long as you are approved by the financial institution. Closing costs are usually around 1-2% of the purchase price, such as lawyers fees, appraisal fees, land transfer tax and adjustments. Financial Institutions have implemented a stress test for mortgages with more than 20% downpayment, where you need to qualify for the mortgage at a higher rate than what you will actually be paying, to ensure you can afford the home if mortgage rates were to increase. But you should not be subject to paying mortgage rates that are higher than anyone else; they should still be competitive. Contact us anytime and we can answer your questions or connect you with our mortgage broker. If you think you will be living here for at least 3 years, or might own the home for even longer, buying property can be a sound investment. As with all investments, you make the money when you buy the home, for the right price. Working with an analytical realtor who will show you what home provides the best value and appreciation (and WHY) is key. We provide all clients the same system and level of service to ensure their needs are heard and met. By focusing on facts and crunching numbers, this home purchase can be a valuable part of your portfolio, no matter where your life takes you. Click here to read our BUYER FAQ. Many villages can look the same if you are only looking at the homes. But if you dig deeper, you will see these areas offer different amenities and demographics which might affect your desired lifestyle and long term happiness. Who are the neighbours? What is transit like? Are there local grocery stores you’ll like? Is there village life close by – pubs, shops, etc? Is the area up and coming or arrived? It’s critical that you work with a professional who can show you how each neighbourhood is DIFFERENT from each other. Take a look at our village pages to start learning what each village has to offer. Relocation companies will usually suggest that you use their appointed real estate agent. But we argue that this decision is far too important to have blind faith in just any agent. If you have any worries that the suggested agent isn’t going to provide you the knowledge and service you need, give us a call before you sign any paperwork and we’ll take care of the details. Canada is a open door for foreigners to own property, but it provides no “fast-track” to becoming a Canadian citizen. There is no limit to how many properties that a non resident can own in Canada. However, if you require financing from a Canadian bank, they can have cap rules as to how many homes they will allow financing on. There’s no need to wait until you arrive here, sign up to our program to see what type of home you can buy. If there’s a home that would have suited you well, we can find out you what it sells for and provide other relevant information for your research. Rates across the GTA are less than 5% and often, less than 3%. There are lots of Canadians looking to rent, let alone non-residents. This demand is pushing prices steadily upwards. Desirable properties will get rented in days, and moving quickly is critical to being successful. The more documents and proof you have prepared before you start looking, the better positioned you are to make a quick decision on a good property. Many landlords in Canada are families who have less that 3 units to rent out. They are not large corporations who can withstand months of vacancy. Naturally, these small-scale landlords are going to choose the tenant who demonstrates that they are the most fiscally responsible and reliable. Consider setting up a Canadian bank account before you arrive, and keep it active so that you can provide proof of your credit and finances. You will be competing for good rentals, so make sure you are prepared with all of your financial documents. Ontario has the Residential Tenancies Act which sets clear guidelines about what is expected of both landlords and tenants. If you are looking to rent a property, ensure you read it to know your rights, and what is expected of your landlord. You are required to disclose everyone who will be living in the rental unit, and unless specifically allowed, sub-leases are not permitted. Tenants have a lot of rights and protections, so long as they follow the requirements of the act. If you are a non-resident looking to purchase a property as a rental investment, we urge you to know the act, as it offers a lot of protections to tenants; protections that may not be customary in other areas of the world. Ontario also has a Landlord and Tenant Board where both parties can file complaints in case of dispute. The onus is on the landlord to document every detail and submit/sign all paperwork properly in order to be considered. There are a lot of steps and paperwork necessary to even try to evict a tenant that you might feel is not upholding their responsibilities. Be sure to know the act well or hire a property management company. Contact us if you have any questions about how to set this up. Having Trouble Finding An Agent For Renting? If you are a non resident planning to rent a home when you arrive, you might have already discovered how difficult it is to find an agent who is willing to work with you, spend too much time with you, tour you through the areas or offer on several properties. We hear this complaint all too often. Newcomers are frustrated because often there’s a good chance that they will buy in the near future, but just can’t purchase right away. And they feel like they are not treated with the importance or respect they deserve. The truth is, successful and skilled agents do not make enough money on rentals to spend more than a few hours with a rental client, even on executive rentals. Anything more than 2-3 days of work, and their cost in time is higher than the commission paid. If an agent has all the time in the world to spend with a rental client, (outside of Toronto) it’s because they have a lot of free time….which may not be a good indication of their experience…. In the interest of transparency, and ensuring you get the best possible advice and service when you critically need it, we want to tell you the steps you need to take first. This way, you can then hire a great realtor when you are actually ready find the rental. Your Realtor will find you the best options for your needs, walk you through the contract to explain your rights, and then close the deal with your best interests in mind. You do need to do the leg work first, but we have set up a lot of tools and systems to help make that much easier for you. This is a very time consuming process that, with the right information, you can manage. For Mississauga, we have created detailed village information pages that explain housing styles, link to schools, amenities, etc. We have put everything on those pages that we can possibly think to put and are working on new videos for each pages as well. If we are missing info you need, feel free to ask us a question and we’ll get back to you asap with what you need. What does that street look like? Is it up-kept or falling apart? Are the homes landscaped or neglected? How many people live on the street? Is it over-crowded with cars and rentals, or is it a quiet street? And which of these factors matter to you? The more research you do to clarify what you want, the smoother the process goes moving forward. The second step, once you know which neighbourhoods you think you prefer, is to have us set you up on an automated listing search. You will be sent new lease listings via email for you to review. We can set up this search based on number of beds, baths, style of home, neighbourhood and budget. If budget is tight we suggest using the budget factor only, and you will see everything that you can get within your budget. If you have a strong preference for a location and/or style of home, we often leave budget off the search so you can see what a desired lifestyle is going to cost. The search is 100% flexible and you will learn much about the current market and how well your wants and needs line up with your preferred budget. Be sure to indicated whether you are looking for LEASE or SALE. By having your financial documents ready to go, you show everyone that you are committed to the process. For non residents, you might not have local rental history, local credit, or local references. Landlords are allowed to ask for these items so if you can establish any of these, and prove it in writing, you will be far more competitive. If you can’t, all you have to show is a letter of employment and/or proof of income. If you can prove you have enough income/assets to pay your rent, and show you are an organized and proactive person, this may encourage landlords to overlook a lack of references or credit. However, the more you can do, the better. Try to establish a Canadian bank account, and even a credit card if possible, before you arrive, and actively use it. This way, you can demonstrate that you are fiscally responsible and will pay your rent. This is what every landlord wants. If you call me and show me that you are well prepared, realistic and have a clear vision, I am more than happy to work with you. The rental market is very tight, and the truth is that whenever you arrive, there might be 2-5 options available on market for you to choose from. And if you did your preparation, you will be ready to offer on one of them. If you are in situation where you can stay in company accommodations or a hotel for a while, then we can wait to see what comes to market in over a few weeks. The truth remains that good options will come and go quickly. My role is to do the research to ensure the price is fair, that there’s nothing odd or unusual about the property or the contract that needs to be brought to your attention, and that you fully understand your legal rights and obligations with the lease contract. By working together, we can ensure a smooth and successful rental process. Good rental homes get leased in days. Before you start working with an agent, its important to know the market, the cost of rentals, and what you can get for your budget. Once you arrive, we need to hit the ground running.